The following list is a reference point for the 2018 New England Patriots social media accounts on Facebook, Twitter, Snapchat, and YouTube. 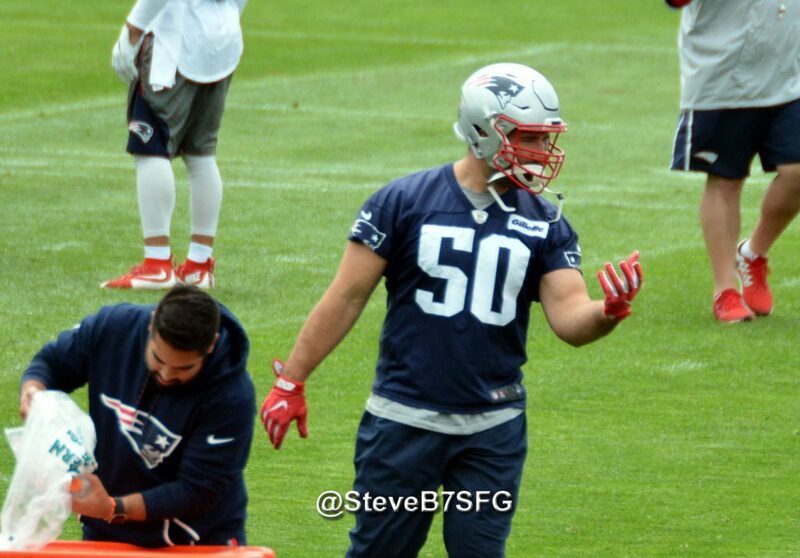 This entry was posted in 2018 Patriots Training Camp, Patriots Twitter and tagged Adrian Clayborn, Brandon King, Braxton Berrios, Brian Hoyer, Chris Hogan, Christian Sam, Cordarrelle Patterson, Cyrus Jones, Danny Etling, Danny Shelton, David Andrews, Deatrich Wise, Derek Rivers, Devin Lucien, Devin McCourty, Dont'a Hightower, Duke Dawson, Duron Harmon, Elandon Roberts, Eric Decker, Eric Rowe, Harvey Langi, Isaiah Wynn, Ja'Whaun Bentley, Jacob Hollister, James White, Jason McCourty, Jeremy Hill, Joe Thuney, Jonathan Jones, Julian Edelman, Kenny Britt, Kyle Van Noy, LaAdrian Waddle, Lawrence Guy, Malcolm Mitchell, Marcus Cannon, Marquis Flowers, Mike Gillislee, Nate Ebner, Patrick Chung, Phillip Dorsett, Rex Burkhead, Rob Gronkowski, Ryan Allen, Shaq Mason, Sony Michel, Stephon Gilmore, Ted Karras, Tom Brady, Trey Flowers, Vincent Valentine on August 2, 2018 by Robert Alvarez. The Patriots 2018 training camp begins in less than three weeks which means that we’ll be in football mode from then until early February. The team is looking to return to the Super Bowl albeit with a different result this time around and where they have to make changes, begins with the defense and specifically the defensive line. The team allowed 4.7 yards per rush attempt (31st in the NFL)in 2017 and while there were plenty of factors involved in that, they needed to get bigger and stronger inside. Which is why they brought in Danny Shelton from the Cleveland Browns. Getting big Vincent Valentine back from injury this season should help as well. The Patriots have to do a much better and more consistent job of getting after the quarterback this season. Trey Flowers is their best overall defensive lineman and many expect him to turn in a Pro-Bowl season in 2018. They’ve added Adrian Clayborn from the Falcons and get back Derek Rivers from a season-ending injury suffered in preseason last year. Deatrich Wise had a good rookie season as well. So… who is locked into the roster and who is on the bubble for the defensive line? Trey Flowers and Adrian Clayborn look (on paper) to be the starting defensive edge setters while newcomer Danny Shelton and Malcom Brown anchor the middle. Flowers can do everything, rush the passer off the edge, kick inside as an interior rusher and set the edge in the running game. 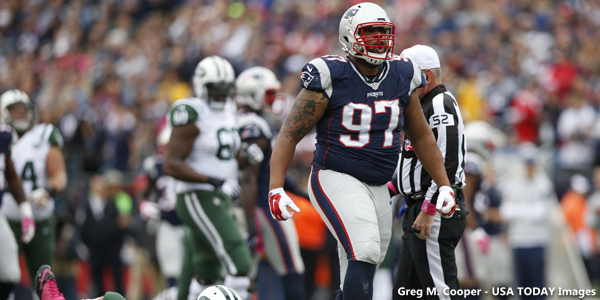 Clayborn gives the Patriots a veteran presence on the edge, and a solid one. He’s been productive in his career and a solid player on the field and in the locker room. He’s been one of if the not the first players on the field all spring. Shelton will be looked to provide that two-gap immovable presence inside against the run that they were lacking a year ago when Alan Branch got old quickly. He’s looking to get his career back on track and with the team turning down his fifth-year option, is in a contract year. Ditto for Malcom Brown. The Patriots former first-round pick has been good but could be more consistent on the field. Brown has held up well against the run and is playing for a contract as well. The team will expect much better play on the interior as well. Wise had a solid rookie season, after getting off to a very good start, he tailed off in the middle of the season before finishing well down the stretch. He’s got a long wingspan but isn’t the most athletic guy. With a year in the system and looking to get a little stronger, the strength and conditioning program should have helped him quite a bit. The health of Valentine and Rivers are the only things that could hold them back in 2018. Valentine played well as a rookie in 2016 and the team was pleased with his performance. But an injury caused him to miss the entire 2017 season. It was thought he might be healthy enough to activate by the end of the regular season but it never took place. Now the team is hoping for him to not only be healthy again but to make the next leap forward in his development. Rivers was the Patriots top draft choice a year ago coming from a smaller school at Youngstown State. He started slowly, getting used to the speed and physicality in the pro game. It seemed like the light was just coming on for him when he tore his ACL and was lost for the season. Now it is hoped that he’ll be fully recovered and ready to go once training camp begins. He’ll be on the players to watch on defense this summer. Guy was signed to a 4-year deal last spring and the 6’4, 305 interior lineman away from the Baltimore Ravens during free agency. He played well during his first year in Foxboro appearing on the field for 54.91 percent of the snaps. If he appeared in just one more (55%) it would have immediately triggered in a $500,000 bonus. But the Patriots decided to pay it anyway which tells you something about they feel about Guy. The Patriots signed Butler, a UDFA last spring and he made the team out of training camp and immediately became part of the rotation in 2017 appearing in all 16 games. He showed the ability to get after the passer a bit and contributed 16 QB pressures and two sacks. He was inconsistent and needs to improve in the running game but will be a tough player to jettison after a promising start. Davis was considered a later round edge rusher from Chattanooga last year and then a neck injury caused him to go undrafted. He certainly looks the part and appears chiseled in his upper body. We’ll see if it can translate onto the field. Grissom has been a key contributor on STs but has yet to make a dent in the defense. Lee was picked up from Buffalo last fall and displayed an ability to rush the passer. However, he has troubles setting the edge and may be just a situational pass rusher. Harris, “Toolbox Trent” as he was called in Miami was a UDFA and isn’t the most athletic defensive end but his teammates marveled at his array of pass rush moves. Will it translate to the NFL? We’ll see. The Patriots signed undrafted free agents John Atkins and Frank Herron this spring. Atkins was a key player in the Georgia Bulldogs defense, eating up two blocks while allowing Roquan Smith to clean up. He has good size at 6’3, 322 for a nose tackle and a great work ethic but has a long way to go to beat out any of the interior guys. Herron is another interior defensive lineman with good size at 6’3, 311 and plays with a chip on his shoulder. Had a few scrapes with disciplinary issues at LSU but raised his stock a bit in the NFLPA Collegiate Bowl, displaying a quick first step, something he was lacking in during film study of his games. But he too is a longshot with a chance to possibly make the practice squad. 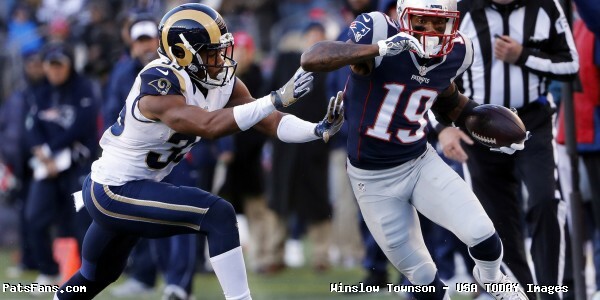 This entry was posted in 2018 Patriots Offseason, NFL Commentary, NFL News, Patriots Commentary, Patriots News and tagged 2018 Patriots Draft, 2018 Patriots offseason, 2018 Patriots season, 53 Man Roster Projection, Adrian Clayborn, Bill Belichick, Derek Rivers, Lawrence Guy, Malcom Brown, New England Patriots, NFL, Patriots, Patriots edge rushers, Trey Flowers, Vincent Valentine on July 9, 2018 by Steve Balestrieri. On Tuesday night the Boston Celtics played the Cleveland Cavaliers in their first game of the 2017-2018 MBA season and to show support for their fellow New England sports athletes, members of the Patriots shared good luck messages to the local basketball team. The @celtics have mad fight in them, they don’t quit!!! #Letsgoooo #WIGGSOUT!!! Midway through the first quarter, forward Gordon Hayward went down with a devasating leg injury that saw many current and former Patriots players react with shock and well wishes for a speedy recovery. Prayers up Gordon Hayward! Damn! This entry was posted in Patriots Commentary, Patriots Photos and tagged Deion Branch, James White, Jermaine Wiggins, Julian Edelman, Kyle Van Noy, LeGarrette Blount, Sebastian Vollmer, Vincent Valentine on October 18, 2017 by Robert Alvarez. As we’ve been saying all summer, the New England Patriots will have many difficult decisions to make when the final 53-man cut down is due after the Giants game. The hour glass is running out and if players are going to make a move, they have a week remaining to convince the coaches that they’re worth keeping. With some serious injuries to Derek Rivers and Julian Edelman, that will open up two spots that we had as locks. Ditto for the release of Kony Ealy. So, despite that, we can expect that the Patriots initial 53-man roster will change rather quickly as they’ll probably pick up a player or two via the waiver wire. I wouldn’t rule out a trade for an edge player either as they are really thin there right now. With that in mind, we’ll take our final crack at the roster here on Sunday night with time to digest and re-watch the Lions game. New England has traditionally kept two QBs on their roster. Last year they kept three because of the crazy Brady suspension. I didn’t expect Brissett to push Garoppolo for the #2 slot this season, but his play has been really disappointing. He holds the ball far too long and his arm, though cannon-like has the accuracy of an old smooth-bore musket and not where it should be. But I just don’t see them cutting bait with Brissett yet. Is it possible? You betcha, but not this year. I think they will stick with three but Brissett isn’t a lock by any means. No changes here, I really wanted to find a way to keep both Foster and Bolden. Foster is going to be on a roster somewhere on Opening Weekend. If it isn’t here, it will be somewhere else. I thought of keeping only two TEs and utilizing him in an RB/Slot receiver mode where Devlin and an extra tackle can help in the blocking. And they still may do that. Bolden is a superb STs performer but with Gillislee back and looking healthy, I don’t see how they keep him without cutting from somewhere else. While he’s played well the past few weeks, O’Shaughnessy’s slot is still tenuous at best. He’s a better blocker but not as good as a receiver as Hollister. The UDFA rookie from Wyoming had a big game against Jax and then was barely used after that. It is obvious the team likes O’Shaughnessy and wants to keep him. Lengel, who is banged up didn’t show enough to warrant keeping him around. Julian Edelman’s injury opens the door for the Patriots to keep Austin Carr, who to me has just barely edged out Devin Lucien for the final spot at the position. Both Edelman and Slater go to IR, Slater will return later this season, which will make for another interesting decision. The top four are locks and will be needed to step up a bit more. The good news is that Nate Solder is back at practice and although he didn’t make the trip to Detroit, he should be ready for the Chiefs game on Opening Night. Garcia has been banged up, does his injury preclude him from making the roster and going on IR? That may open the door a crack for Conor McDermott or LaAdrian Waddle (also banged up) to step in. But it appears that Solder, Cannon, and Fleming are locked in right now. Next up in the defense. With the lack of enough edge players and the release of Kony Ealy, this opens the door for another player to step up inside and that is Adam Butler who has had a very solid camp. He’s shown the ability to penetrate inside and disrupt things in the running game. Branch, Brown, and Lawrence Guy are locked. 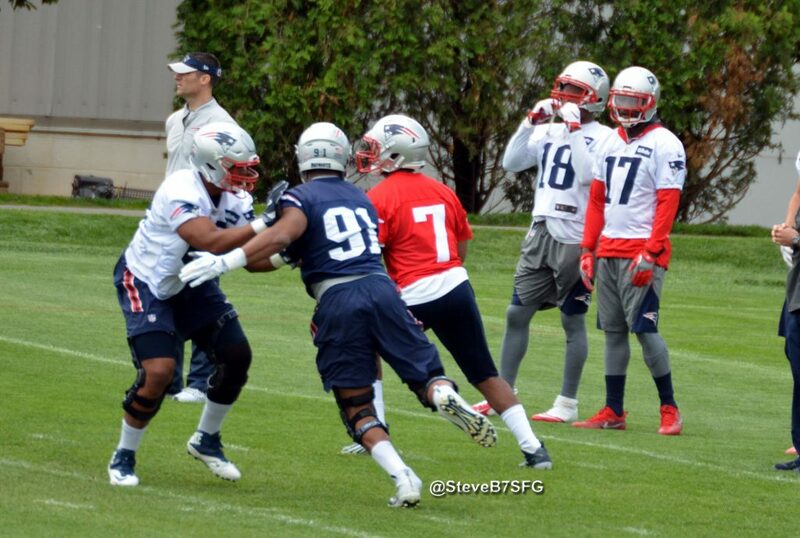 Guy had a solid camp and with Butler, the team may opt for more of a 3-4 look with the bigger bodies inside. Hamilton, Kilgo, and Augusta played well this summer and are victims of numbers more than anything else. Ealy was released early…which means that he was in no way in their plans for 2017 after an up and down training camp. Depth has become a serious issue here. Wise will be looked to now, to provide the pressure with Trey Flowers. Grissom right now is my 53rd player on the roster. He could be replaced somewhere else but sticks around for his STs play. But he’s been virtually invisible on defense and that isn’t a good sign. Look for the linebackers to provide help in this realm. Dont’a Hightower, Van Noy, and Langi will all be utilized as edge rushers as well. This is an area they may cherry pick off of the waiver wire and/or swing a trade. I think Davis will go to the practice squad and possibly play a factor down the road sometime in the future. I had the team keeping just five linebackers all summer but with the dearth of edge players, they keep an extra LB and those guys will help out on the edge as well. David Harris is an early-down inside run stuffer who is a liability in coverage (see Roberts). But the difference is, he’s a guy who is an established, smart veteran and will be rarely out of position. Hightower is a guy who can play inside or on the edge as a rusher, as well as Van Noy. Langi and Bates, the last addition to the linebacking crew both had a good summer and training camp. Langi was a bit overaggressive at times as a pass rusher, but he’ll learn to temper those tendencies. 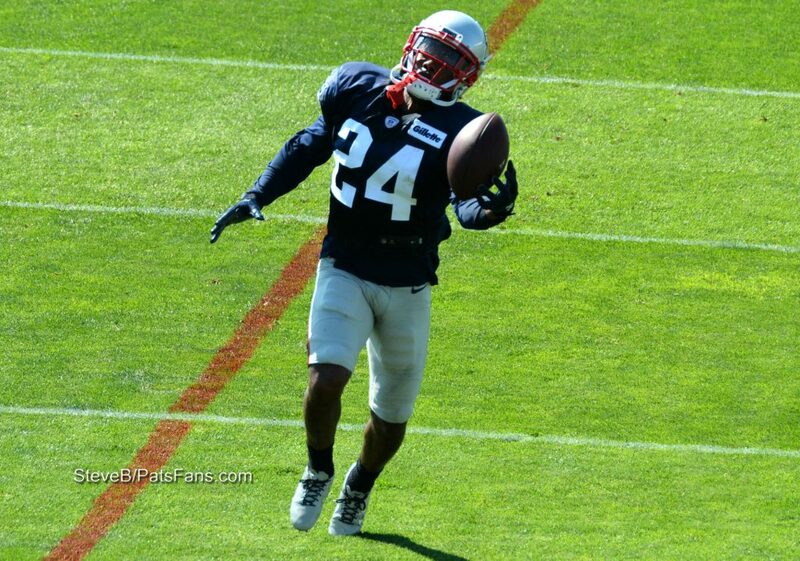 Bates noses out Belichick favorite and STs standout Freeny and Roberts goes to IR. The top four are locked and ready for the season. Gilmore had, in my opinion, a terrific summer. He’s adapted extremely well to the Patriots system and should be an outstanding addition. He and Butler promise to be a dynamic pair of corners on the edge. Rowe and Jonathan Jones have split the nickel corner duties and will continue to do so, depending on the matchups. Both played well this summer. Kenny More displayed a nose for the ball all summer and just beats out the veteran Justin Coleman. Cyrus Jones, for now, is a corner in name only. He’s the primary Kick returner but the team may ultimately decide to go with Dion Lewis/Amendola, in which case he’d be expendable. The top three of Chung, McCourty, and Harmon have been solid and are locked. The team has depth for those two with Nate Ebner and Brandon King who are mainly special teamers, neither of whom plays much defense although Ebner has played in spots in the past. Jordan Richards is a favorite of Belichick and the team is trying every way of keeping him around. They switched him to the linebacker position in the “Big Nickel” look, the Pat Chung role and he was as inconsistent as he’s been elsewhere. Too slow, too stiff with a penchant for taking bad angles. Jones was hurt all summer, Travis played well in spots. Both may be candidates for the practice squad. A good solid group who have had a good camp thus far. Gostkowski still seems to have a mental block for extra points. But is solid on his field goal attempts and his kickoffs which are outstanding at getting the team great field position on defense. Allen has had a very strong camp. We haven’t mentioned Cardona much at all….which tells you his snaps have been right on the money. 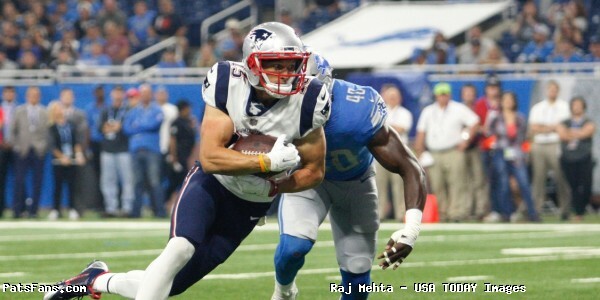 This entry was posted in 2017 Patriots PreSeason, Patriots Commentary, Patriots News, Patriots Rumors and tagged 2017 Patriots Preseason, 2017 Patriots Season, 53 Man Roster Projection, Adam Butler, Alan Branch, Austin Carr, Bill Belichick, Brandin Cooks, Brandon Bolden, Brandon King, Chris Hogan, Cyrus Jones, D.J. Foster, Danny Amendola, David Harris, Deatrich Wise, Devin McCourty, Dion Lewis, Dont'a Hightower, Duron Harmon, Dwayne Allen, Eric Rowe, Geneo Grissom, Glenn Gronkowski, Harvey Langi, Jacob Hollister, Jacoby Brissett, James Develin, James O'Shaughnessy, James White, Jimmy Garoppolo, Joe Cardona, Jonathan Jones, Julian Edelman, Kenny Moore, Kyle Van Noy, Lawrence Guy, LeShun Daniels, Malcolm Butler, Malcolm Mitchell, Malcom Brown, Matt Lengel, Matthew Slater, Mike Gillislee, Nate Ebner, Patrick Chung, Rex Burkhead, Rob Gronkowski, Ryan Allen, Sam Cotton, Shea McClellin, Stephen Gostkowski, Stephon Gilmore, Tom Brady, Trevor Bates, Trey Flowers, Vincent Valentine on August 28, 2017 by Steve Balestrieri. The Patriots head into training camp in ten days and there should be no shortage of competition at a number of spots. As a lead-in to the beginning of camp, we’ll break down the positions and give our take on who is a lock, a near lock for the 53-man roster and who is on the bubble. Next up on our primers is the Defensive Line position. Bill Belichick likes to say that the spring’s OTAs and Minicamp is a learning exercise and that the real competition begins in training camp. With a roster of 90 players and no cuts needed before the final 53-man roster cut down, there will be plenty of time for evaluation. So, we’re going to look at the Patriots Defensive Line and how they shake out. There is much versatility here and that what makes the Patriots defense so effective. In a sack driven league, they’re rather pedestrian at them despite leading the league in points against in 2016. It wasn’t smoke and mirrors, the team uses a variety of different looks and squeezes offenses from running the ball and then with their pass rushers, do not let opponents out of the pocket where big plays tend to happen. They demand their edge players set the edge first, they’re not and have never been a “sell-out” pass rush team. The team lost defensive ends, Jabaal Sheard and Chris Long, this spring but drafted two younger guys in Derek Rivers and Deatrich Wise while picking up Kony Ealy from the Panthers in a steal of a trade, during the NFL Draft. The team also picked up the versatile and underrated Lawrence Guy from Baltimore. Trey Flowers was arguably their best DL down the stretch and into the playoffs and Alan Branch was outstanding all season. Everything starts with the big men in the middle and Branch and Brown were very good in 2016. Branch frequently plays over the center and is outstanding at stuffing the run. Brown is as well. Their job is to force everything outside where the defensive ends and linebackers are supposed to clean it up. They each got a little bit of push in the passing game but that is something that Brown could do a bit more of as well as be more consistent in 2017. Ealy will be an intriguing guy to watch this year. He’s in a contract year and has been given a clean slate by the coaches in New England. The biggest knock against him was that he didn’t buy in when he was in Carolina. He seems to be doing that right off the bat here, which is a good sign. When he’s on, he’s a difficult man to block. Just rewind to Super Bowl L and watch him against the Broncos. Big things are expected of Flowers this season, and after the way he finished 2016, he seems to be the go-to guy in the pass rush. Flowers, like many others in the Pats defense, is versatile and can rush from the edge or push inside as an interior pass rusher. Ninkovich is a guy who is always at his best in clutch situations. He may be losing a step but he’s another versatile guy who can line up as a defensive end or drop as an outside linebacker. Rivers and Wise by virtue of their draft stock are untouchable this season. Rivers is another guy who can play DE or OLB and was the Patriots top draft choice this season. Wise is another big DE in the Patriots mold that is an edge setter first and a pass rusher second. He was hurt in his senior season in college but had a very impressive 2015. With the depth listed above, these rookie edge players, they won’t have a ton of pressure put on them to produce much this season. They will be able to learn the defense, get used to the speed of the pro game and get some reps here and there. Valentine showed some nice flashes last year in his rookie campaign. He’s another big body who can stuff the run on the inside. Guy is a versatile, movable piece and plays the 1-technique or out to the 5-technique. He seems like he’s going to be a nice fit in the Patriots defense. We’ll have to see if he can translate that to the field. It is going to take some hard work from the guys below to unseat either of these two players. But stranger things have happened. Unless someone gets hurt or a case of the Foxboro Flu. The clock is running out on Geneo Grissom. He’s a guy that was drafted ahead of Flowers and was thought to have all kinds of versatility. But it hasn’t happened for him, he’s been unable to make a dent in the defense. Hamilton made the team a year ago but with the addition of Guy from the Ravens, he’s going to have to turn it up… a lot. Augusta is a big-body, run stuffer in the Vince Wilfork mold, he’s listed at 6’0, 335-pounds…which may be wishful thinking. Passing the conditioning test on Day 1 will be a tough task for the big man, who failed to complete a lap during minicamp…twice. Butler is a definite under the radar guy. Signed as a UDFA from Vanderbilt, the 6’4, 305-pound DL can be a run-stuffing tackle or a penetrator from the interior on passing downs. He played OL in college before switching over. He’ll be a guy to watch to see if he can turn some heads. Kilgo was drafted by Denver and appeared in 18 games in two seasons before being released last November. 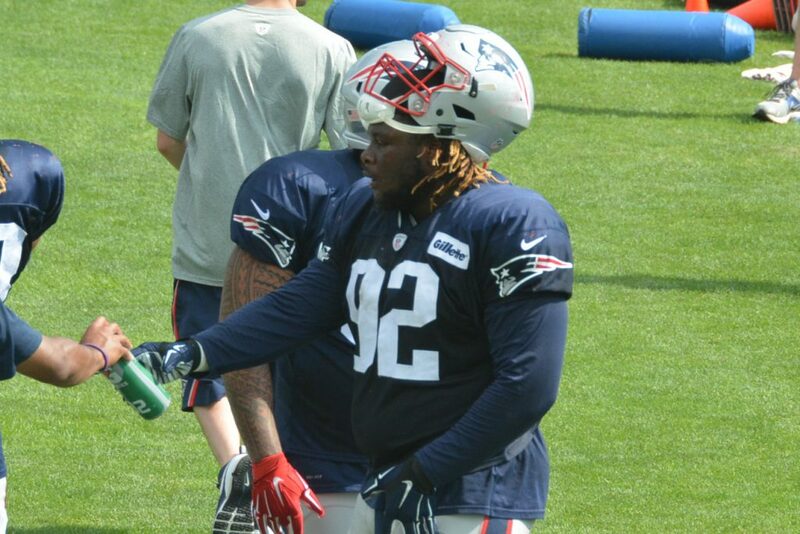 The Pats signed the big 6’3, 320 DL to the practice squad where he spent the remaining part of the season. Our next primer will have the Patriots Linebackers… stay tuned. 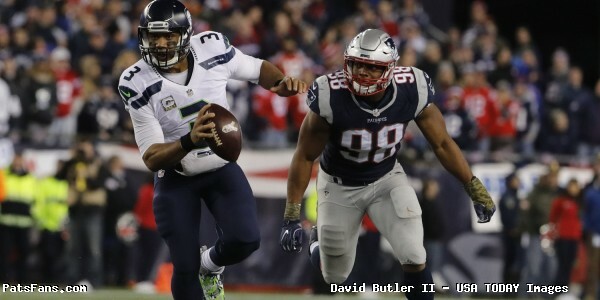 This entry was posted in 2017 Free Agency, Patriots Commentary and tagged 53 Man Roster Projection, Adam Butler, Alan Branch, Bill Belichick, Bubble: Geneo Grissom, Darius Kilgo, Deatrich Wise, Derek Rivers, Josh Augusta, Kony Ealy, Lawrence Guy, Malcom Brown, New England Patriots, NFL, Patriots, Patriots edge rushers, Rob Ninkovich, Trey Flowers, Vincent Valentine, Woodrow Hamilton on July 17, 2017 by Steve Balestrieri. 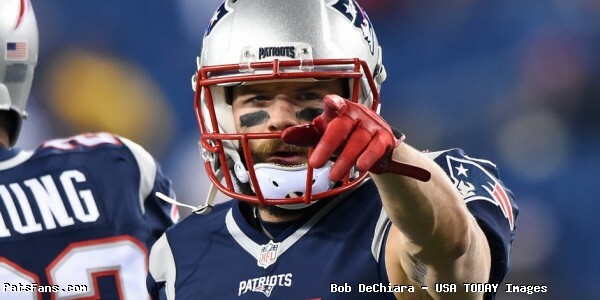 Sunday marked Fathers Day celebrations across the country and to honor the occasion, current, former, and family members of the New England Patriots took to their social media accounts to thank the father’s in their lives. According to a recent story, written by Sports Illustrated’s Kalyn Kahler, six Patriots players have had seven babies since winning Super Bowl LI back in February. Congratulations to all the new dad’s! Happy Father's Day to my pops! Couldnt thank you enough for everything you have done for me and continue to do for me. Love you pop and thankful that i got a great dad like you! Happy Fathers Day to the best role model I could ever have. Love you, pop! While this may not be recent, this might be a good time to reflect back on one of the more memorable media day moments in Tom Brady’s career. This entry was posted in Patriots Commentary, Patriots Photos and tagged Chris Hogan, Duron Harmon, Jonathan Jones, Julian Edelman, Matt Chatham, Matt Lengel, Tom Brady, Vincent Valentine on June 19, 2017 by Robert Alvarez. On Friday night, New England Patriots owner and CEO Robert Kraft hosted the teams Super Bowl championship ring ceremony at his Brookline MA home. 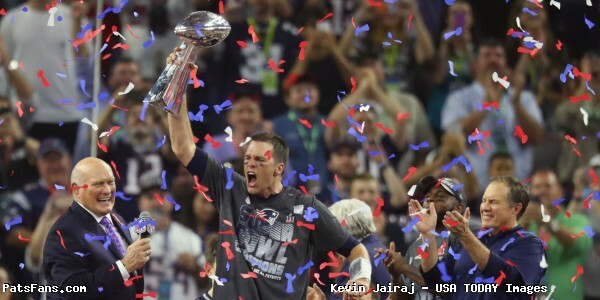 The social media posts that followed as the night progressed would make any Patriots fan light up like it was February 5th, 2017 all over again, so without further ado below are some of the best sights and sounds. A rare occasion for Head Coach Bill Belichick as he was spotted wearing all of his championship rings from his NFL career. Seven Super Bowl titles across the Giants and Patriots including three AFC Championship rings from 1996, 2007 and 2011. This happened last night ~ and then this happened! #MagicalNight #TheGreatestCombackEver *Scroll through! That feeling when you see your Super Bowl ring. Special teamer Nate Ebner shared his unique collection of hardware, both of his Super Bowl rings along with the one given to him by the United States Rugby Olympic team when he participated in the 2016 Summer Olympics in Rio last year. Long Snapper Joe Cardona sported his US Naval Academy graduation ring with his new bling. Following the presentation of the rings, guests were treated to performances by rappers Snoop Dogg and Gucci Mane. All in all it was a very special night that officially closes the door on the 2016 Patriots season, as Quarterback Tom Brady would say the best ring is “The Next One”. This entry was posted in Patriots Commentary, Patriots Photos, Patriots Video and tagged Devin McCourty, Dion Lewis, Dont'a Hightower, Eric Rowe, Jacoby Brissett, James White, Joe Cardona, Julian Edelman, LeGarrette Blount, Logan Ryan, Malcolm Butler, Martellus Bennett, Matt Lengel, Nate Ebner, Rob Ninkovich, Tom Brady, Trey Flowers, Vincent Valentine on June 12, 2017 by Robert Alvarez. 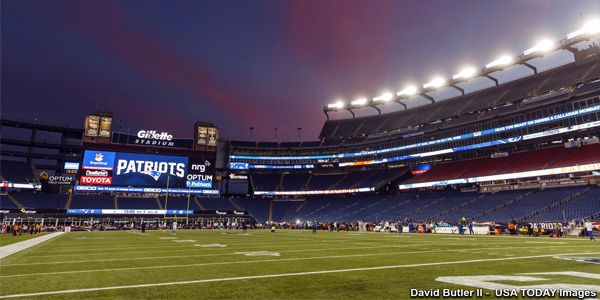 The Patriots begin the next phase of their 2017 offseason OTAs today at Gillette Stadium and they’ll be on the field for the first time doing football drills. And while many will be focusing on the new players such as Stephon Gilmore, Brandin Cooks, and Kony Ealy, the second-year players should be of equal importance. Bill Belichick always talks of the big jump that players experience between their rookie and sophomore seasons. There are several players that will bear watching under that scenario but we’re going to focus on just three that could play very large roles in 2017. Guard Joe Thuney, WR Malcolm Mitchell and CB/KR Cyrus Jones. Thuney was a Day 1 starter at left guard and had the not-so-unexpected growing pains, Mitchell got hurt in training camp but came on in the second half of the season and was a key contributor in the Super Bowl win over the Falcons. Jones was the team’s top draft choice a year ago, a talented corner and kick returner who struggled mightily and was barely a blip on the radar in 2016. Thuney was drafted by the Patriots in the 3rd round (78th overall) in the 2016 NFL Draft out of NC State. The 6’4, 305-pound tackle turned guard was a steady, dependable interior offensive lineman last year. He fought his way thru the competition at training camp to become the Day 1 starter at left guard. He showed good communication with LT Nate Solder and C David Andrews and they did a good job of keeping the Patriots QBs upright. He needed to get stronger this offseason and that will bear some watching. 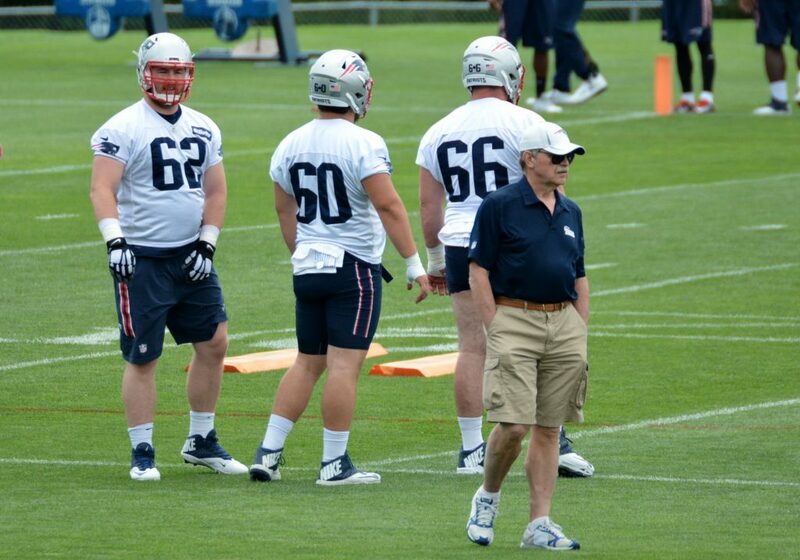 But after spending a year with his demanding OL Coach Dante Scarnecchia, he should be ready for the Year 2 jump. His technique, communication, and strength should all be better. There will be no backsliding on Coach Scar’s crew. The Patriots drafted Mitchell in the 4th round, (112th overall) in last season’s draft. His story was well known when he wasn’t a good reader and joined a ladies’ book club in Georgia. Now he’s an author of a children’s book and a Super Bowl champion. Mitchell suffered an injury in the team’s first preseason game and that definitely slowed his progress. He barely registered on the stat sheet thru the first half of the season. But after Tom Brady’s return from suspension, Mitchell gradually worked his way onto the field and earned his way into Brady’s circle of trust. He finished the season with a modest 32 catches for 401 yards and four touchdowns in 2016. But his Super Bowl was a game that showed that his future is bright with New England, catching six passes for 70 yards and again, Brady trusted him to come thru at crunch time late in the game. The Patriots are stacked at wide receiver this season. With Julian Edelman, Chris Hogan, newcomer Brandin Cooks, Danny Amendola, Mitchell and newcomers Austin Carr, Cody Hollister and Devin Lucien. But while Mitchell’s numbers may not increase dramatically in 2017, he should be an integral part of the offensive plan this season. No one could have predicted the struggles that Cyrus Jones suffered in 2016. Coming from the storied football of program of Nick Saban at Alabama, Jones was a talented corner who was thought to be in line for reps at least in the slot for 2016. He was also a dangerous, valuable kick returner, returning four for touchdowns in his final college season. None of it materialized. Right off the bat in Minicamp, he began to struggle with holding onto kicks and that carried over to the season. He never made an impression defensively and his season was about missed opportunity. Jones has a lot of work to do in 2017, the Patriots used a 2nd round draft pick (60th overall) last season on him and ball security should be at the top of his list. His judgment wasn’t great either, and that was the cause of his being inactive for five of the team’s final six games. 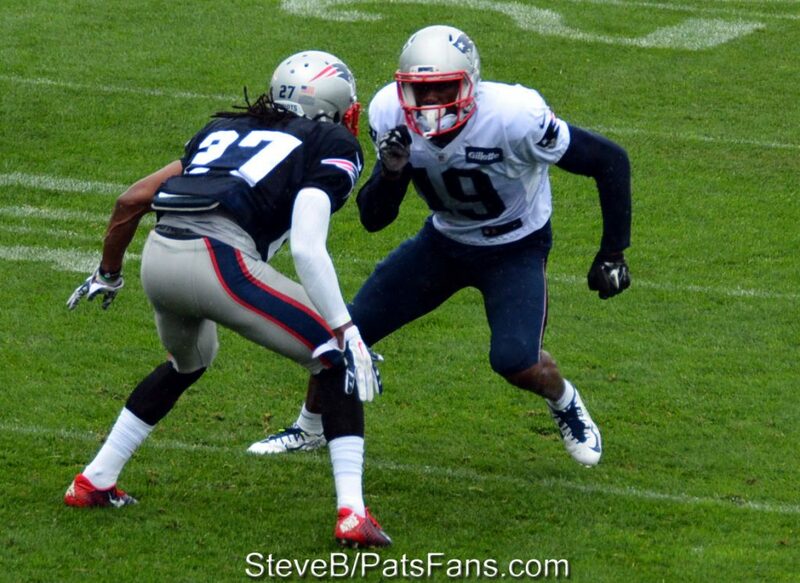 Bill Belichick needs to work with Jones early this year….OTAs is a prime spot and build up Jones’ confidence. That’s mainly what his problem was in 2016, a confidence issue and not an ability one. He knows how to play football and has been successful at the pinnacle of the college football world. Once his return issues are resolved, his play on defense should be markedly improved as well. He’s the guy we’re picking here as our selection as the most improved player in 2017. Other second-year players include Elandon Roberts, Vincent Valentine, Woodrow Hamilton and Jacoby Brissett. In Brissett’s case, we may not see a big jump in play in Year 2 strictly because of logistics. With Tom Brady and Jimmy Garoppolo under center at QB this season, there are only so many snaps to go around. And Brissett may not get a ton of work. The Patriots will have plenty of new faces to integrate into the system, beginning this week for the OTAs but we’ll be keeping focused on seeing how the 2nd year players perform this spring/summer. Getting off to a quick start is always a good sign for having a good regular season. For Thuney, Mitchell, and Jones that all begins today. This entry was posted in 2016 Free Agency, 2017 Free Agency, 2017 NFL Draft, Patriots Commentary and tagged 2017 NFL season, 2017 Patriots Offseason, 53 Man Roster Projection, Bill Belichick, Cyrus Jones, Elandon Roberts, Jacoby Brissett, Joe Thuney, Malcolm Mitchell, New England Patriots, NFL, Patriots, Vincent Valentine, Woodrow Hamilton on May 22, 2017 by Steve Balestrieri. The Patriots will enter the beginning of the 2017 league season with several important decisions to make in regards to free agency. While the team has the third most salary cap room in the NFL this season, they have a slew of free agents including several who are either starters or important role players. We’ll be doing profiles on each of the free agents in the upcoming days and give you our take on whether they return or move on. 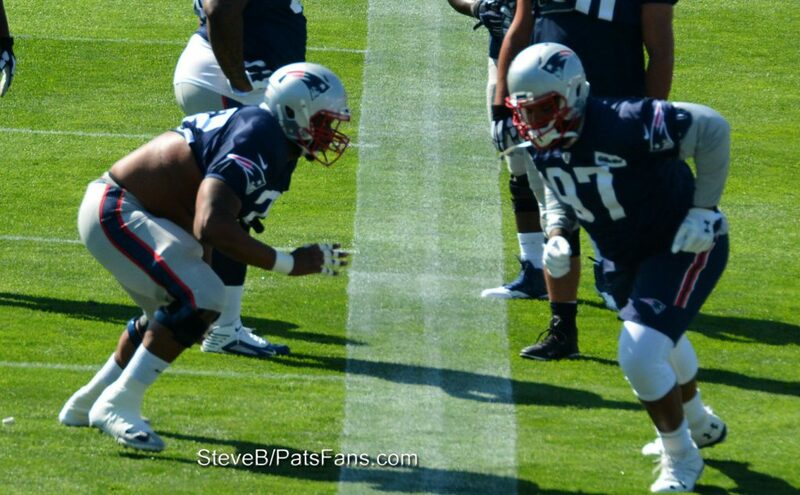 One of the starters and a very important piece is defensive lineman Alan Branch. The Patriots picked up Branch during the 2014 Super Bowl run after Chandler Jones injured his hip in midseason. The Buffalo Bills released Branch after a DUI arrest earlier that year. He then played very well but sparingly down the stretch for the Patriots and was an integral part of the team that defeated the Seahawks. He was even more valuable this time around, being arguably the Patriots best interior defensive lineman all season long being a two-gap run stuffer inside and providing outstanding support against the run and the occasional pocket push against the pass. Branch was originally drafted by the Arizona Cardinals in the 2007 NFL Draft and played four seasons for the Cardinals before playing well in two seasons for the Seahawks. Branch spent 2013 as a member of the Buffalo Bills. After playing well for Buffalo that year, he was given a three-year contract extension and paid a $3.1 million dollar signing bonus. But like Michael Floyd this season, he let a lapse in judgment cost him. But since his release by Buffalo, he’s been a solid teammate and a veteran presence on the team providing very solid play next to two younger players inside with Malcom Brown and Vincent Valentine. Why Branch Will Return: The Patriots don’t have a lot of depth inside with just Branch, Brown, and Valentine along with Woodrow Hamilton and the three players have little experience. Brown finished his 2nd season and the latter two were rookies in 2016. Branch at 32, shouldn’t break the bank in terms of free agency. After the last Super Bowl run he signed a two-year deal for a moderate sum ($5 million-dollar range). If he is willing to accept a similar deal again, it would be easy to see the Patriots paying him around the same amount of money with weight and playing time incentives worked in. The Patriots are happy with his play the past few years as Branch has been a very solid performer both on the practice and playing fields. There is no reason to think he couldn’t continue to perform at a high level for the next season or two and provide the big immovable object inside, eating up two gaps which allow the linebackers to come in and make plays. The 6’6, 350-pound Branch while an immovable force inside is quite athletic for a big man and enjoys skateboarding since he was a kid in New Mexico. He didn’t panic after a slow start in Super Bowl LI by the Patriots defense. Instead, he said, the players just trusted in themselves and the process. Branch actually leapfrogged Brown this season on the Patriots depth chart and played more snaps than the 2nd year player after Brown in his rookie year, led the defensive line in snap percentage in 2015. Branch played just under 60 percent of the snaps after playing in under 40 percent of them last year. Why Branch Won’t Return: Branch has won a pair of Super Bowls with New England and may be wanting to cash in one final time. There are always teams looking for veteran run-stuffing help inside and it is possible that a team will pony up more money than the Patriots will feel fits his value. In that scenario, one could easily see Branch leaving for one final payday in the sun. It is possible that the Patriots will want to get younger at the position and bring in a rookie player that can stuff the run and play for about 20 percent of what they’d have to pay Branch to return. Branch is at that age when the big men begin to break down and perhaps the coaches will feel that they’ve already gotten the best that they can ask for from Branch at this stage of his career and be prepared to move on. Remember, they did much the same thing with Vince Wilfork after Super Bowl XLIX. It will be interesting to see how this scenario plays out. Branch is a very valuable member of the defense. He was a key cog in a Patriots defense that was very solid against the run and his presence inside allowed players like Hightower and Roberts at linebacker to flow and make plays. 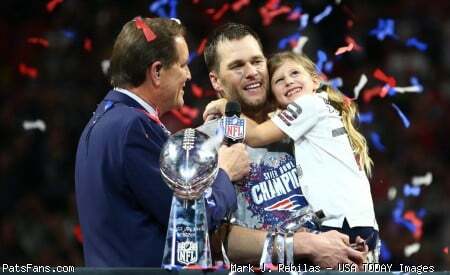 If the money is right, it is easy to see him returning for a final contract that will allow him to retire as a Patriot. He’s been very happy here in Matt Patricia’s defense and that factor may sway him to remain. But other teams love to pluck players off of Super Bowl-winning rosters to provide that type of presence and mentorship to their younger players. If someone ponies up the cash, he could bolt. Right now, I’d say it is even money that Branch returns in 2017. 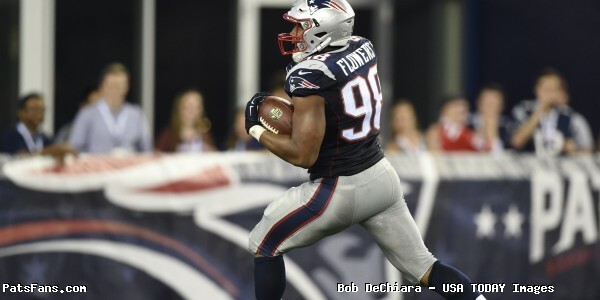 This entry was posted in 2017 Free Agency, Patriots Commentary and tagged 2016 NFL Season, 2016 Patriots season, 2017 NFL Free Agency, Alan Branch, Bill Belichick, Malcom Brown, Matt Patricia, New England Patriots, NFL, Patriots, patriots defensive line, Patriots defensive tackles, Patriots free agents, Vincent Valentine, Woodrow Hamilton on February 16, 2017 by Steve Balestrieri.